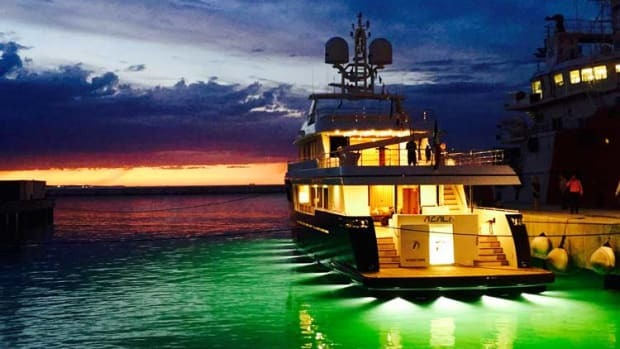 Cantiere delle Marche (CdM) is building a new, fully custom 141-foot (43-meter) explorer yacht designed by Horacio Bozzo Design. 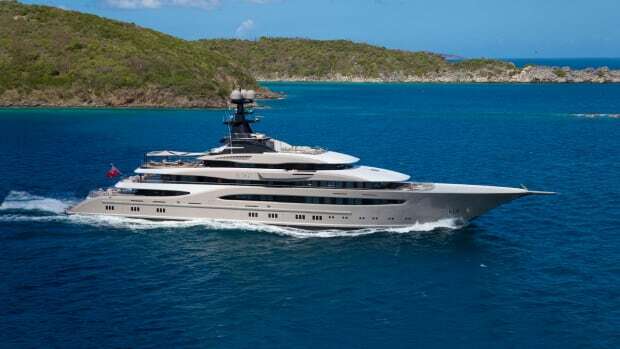 An experienced owner, who has previously owned yachts built by renowned shipyards such as Feadship, Lürssen, and Blohm +Voss, has commissioned DEEP BLUE 43. 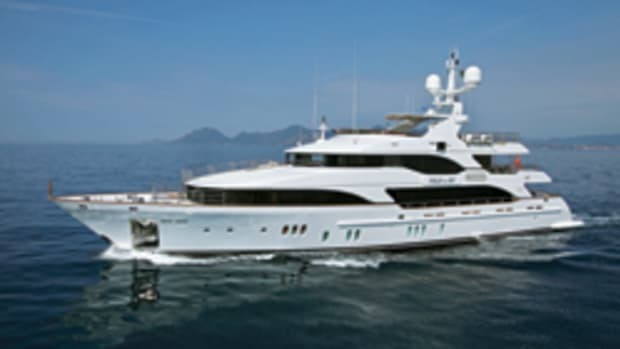 He is a repeat client for CdM having owned a Darwin 102, which he cruised in the Med, the Pacific, and the Atlantic oceans. While the contract for DEEP BLUE 43 was signed last December, the details were only defined in these last few weeks. 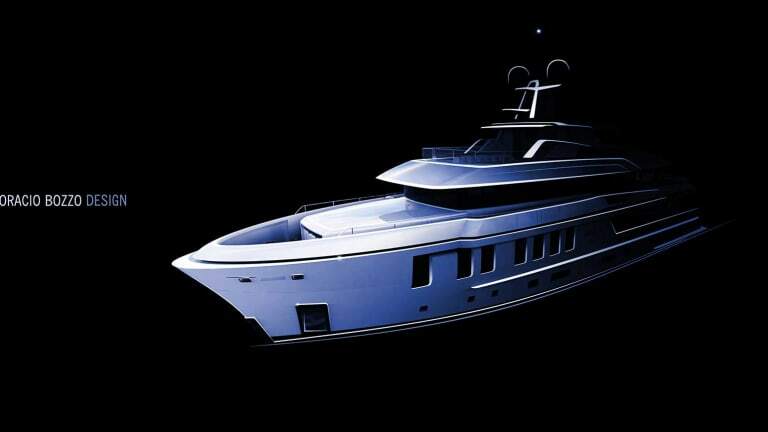 The DEEP BLUE 43’s clean severe profile with a raked bow and compact superstructure reveals a modern explorer vessel. 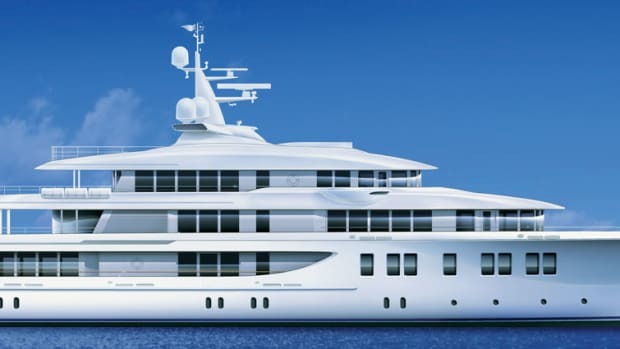 All shapes, volumes and lines compose a harmonious geometry while her roomy body encompasses luxury social areas and generous comfortable crew quarters, as requested by the owner whose plans include long term cruising to reach the farthest corners of the world. Guest areas are spread over three decks plus a Sun Deck. 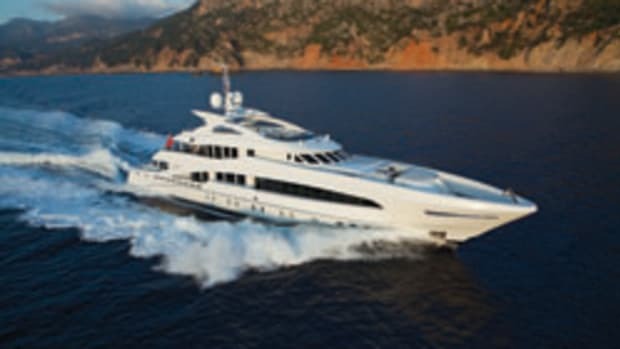 DEEP BLUE 43 features a an organized interior layout for 12 guests in six suites, four on the Main Deck and two on the Lower Deck. 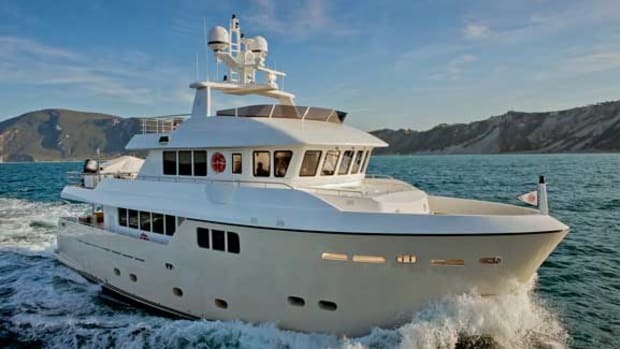 A cozy saloon on the Main Deck and a large panoramic Sky Lounge on the Upper Deck provide communal areas. A huge cockpit features a large swimming pool and plenty of space to relax. 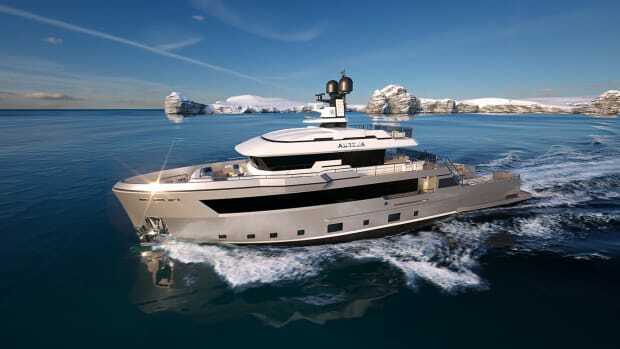 DEEP BLUE 43’s interior designer has not yet been disclosed. DEEP BLUE 43 has full displacement naval architecture by Sergio Cutolo/Hydro Tec offering large volume (440GT) and smooth cruising even in rough seas. 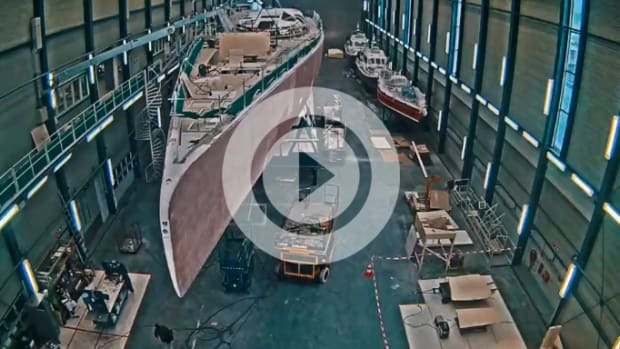 Engineering was developed by the yard’s technical department in collaboration with Hydro Tec. 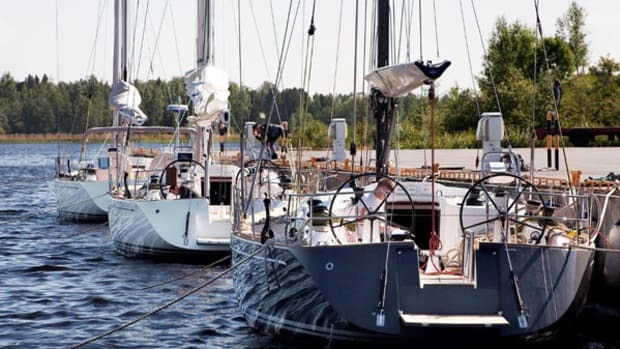 With large fuel tanks and extremely frugal consumption, DEEP BLUE 43 will have an extraordinary range. CdM’s strategy to dedicate one slot per year to fully custom projects has proven to be extremely important for the technical growth of the shipyard. “Building these one- off vessels is a great opportunity for our team to learn something new and to work out of its comfort zone,” says Vasco, Buonpensiere, co-founder and sales and marketing director of CdM. The delivery of DEEP BLUE 43 is expected in 2021.